There will be class Saturday, July 21, 2012. 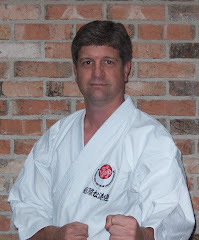 Although Sensei Scott, Sensei Steve ans Sensei Candis will be out of town at instructor, Sempai Chase Norris will conduct the trainings and he will be assisted by Dr. LeAndre Odom. It should be a great training. I look forward to hearing from everyone about it.